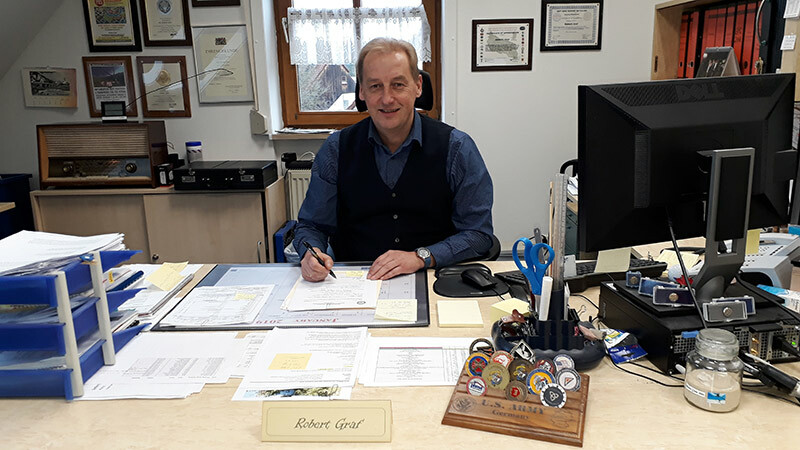 GRAFENWOEHR, Germany — Mr. Robert Graf has worked for United States Army Garrison Bavaria, Directorate of Public Works, since October 1993, having started his career with the Army in 1984 with the 2045th Civilian Support Group (CSG). Mr. Graf is recognized for his initiative and diligence in temporarily taking on the duties of the Housing Chief in Hohenfels during one of the most difficult planning times for the Hohenfels housing community. During this time housing requirements grew with the influx of additional soldiers associated with Deterrence Package 1, but the housing market was not able to adjust as rapidly as Soldiers and their families arrived. Mr. Graf and his team put in extreme efforts to coordinate with local communities, investors, and home owners to increase the private rental market in an attempt to meet the requirements. Mr. Graf and the DPW housing personnel in Hohenfels are also supporting the health and well-being of the community in their efforts to support the testing and repairs for lead and legionella. Graf’s professionalism and care for Soldiers, civilians, and families reflects great credit upon him and the United States Army Garrison Bavaria.